Sami Braman, Leo Shannon, Riley Calcagno, and Vivian Leva will head out on the road as a unit to play some old-time and country music for the people of California, Oregon, and Washington! 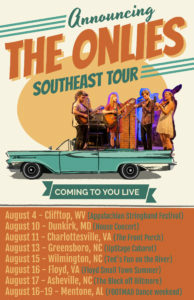 Sami Braman, Leo Shannon, Riley Calcagno, and Vivian Leva will head out on the road as a unit to play some old-time and country music for the people of Virginia, North Carolina, and Tennessee! We're just in one of those life phases that some might call post-high school. 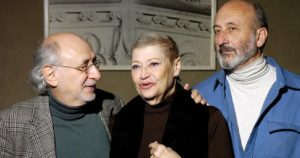 Sami and Riley are in their first year of college (Whitman, Oberlin), and Leo's living the high-life of a traveler and North Carolingian till he settles down next fall at Warren Wilson College. In the meantime, we find ways to keep playing music. 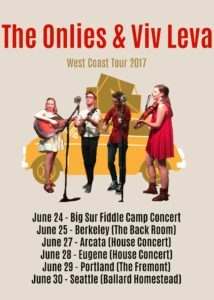 We teach (look for us at Big Sur Fiddle Camp), play, and even plan gigs -- we'll keep you posted on our Appalachian tour, coming in May! And if you need us to play Glastonbury, it's simple: info@theOnlies.com! The band is fairly busy with homework and college applications this fall, but we're excited to be part of the Dusty Strings 30th Annual (!) Open House on Saturday, December 12th. It's an all day event, starting at 11am with our friend Sunga Rose, and ending with us at 8pm. Lots of thoroughly wonderful artists, cider, musical supplies, and instruments to pluck and bow. It's free! The Onlies are about to embark on a very teeny-tiny tour down the west coast (by teeny-tiny I mean two stops....) and will be playing CD releases in Olympia and Portland! Wahoo and thanks northern west coasters! See you there! 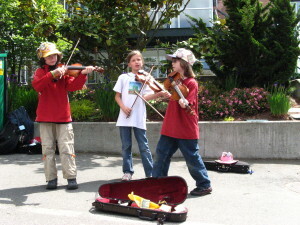 It had to happen, someday: Without sibs of their own, Leo and Sami came to blows at the Festival of American Fiddle Tunes... Or are they just rehearsing contra-dance steps for their July 23rd gig at Lake City? Leo and Sami getting real. In what is likely to be our last Seattle show for months, we have a sweet concert this week that has us sharing a bill with the dazzling B.C. 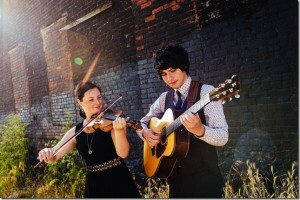 brother/sister guitar/fiddle duo, Qristina and Quinn Bachand. The concert will be at Seattle's most audience- and musician-friendly venue - the Royal Room in Columbia City, 7:30 p.m. Tuesday, June 16. We can't recommend Q&Q enough - they've got amazing chops in a variety of styles, including Celtic, Classical, and Gypsy Jazz. They sing too! It should be an electrifying show start to finish. Keep up with the details on the event's Facebook page. Published on June 2, 2015 Author Samantha BramanCategories Uncategorized1 Comment on “Jubilee” Video! 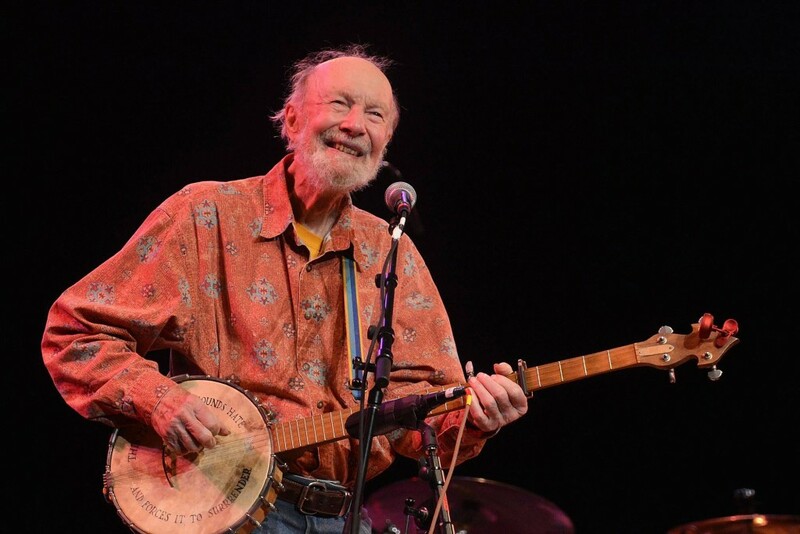 Pete Seeger would have turned 96 this week. We owe so much to him and all of his predecessors as folk musicians. 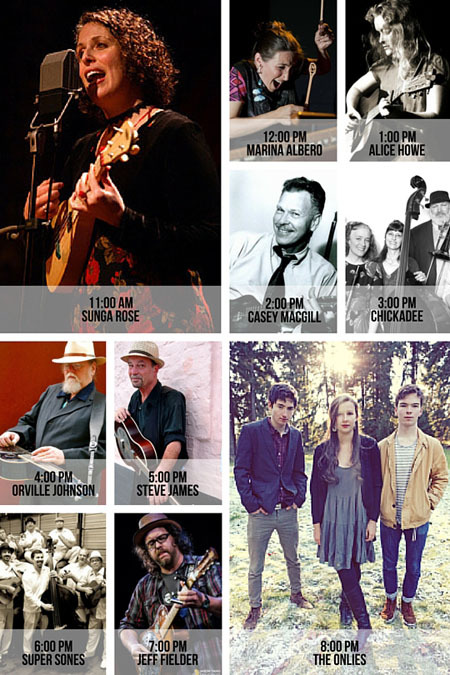 We are also excited to announce that we will be taking part in a Pete Seeger Hootenanny at Town Hall Seattle next Saturday, May 9th. (It will just be Riley and Sami as the Onlies Duo because Leo will be at Essentially Ellington in NYC with the Garfield High Jazz Band (!)) So excited to honor Pete and also raise some money for the local organization, Earthcorps.